In an on-trend palette of violets and greys this sensational dress by Mashiah is a real statement piece. 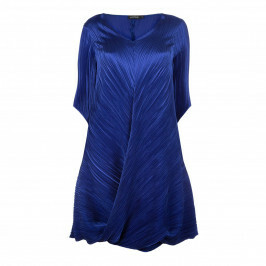 With a slight a-line shape it's designed to be easy-to-wear and figure flattering. Dress it up with heels and accessories - perfect for a book launch or a gallery opening night. 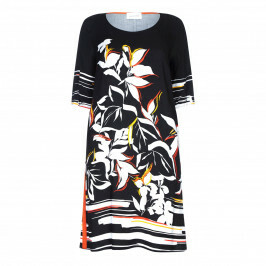 Foral print satin plisse dress short sleeve. 100% polyester. Hand wash. Do not tumble dry.